Network functions virtualization is often overshadowed, in terms of media coverage as well as interest from service providers, by its cousin, software-defined networking. However, 2015 could be a transformative year for NFV. By using NFV orchestration and automation, carriers and their technology suppliers can aggregate disparate functions into single actions that can be deployed without worrying about conflicts at the physical level. What are some signs that NFV is picking up steam? Start with airport Wi-Fi, which has been a fixture of the world's busiest airports for years, yet sometimes struggles to meet the expectations (for service quality) of travelers and staff. Including airport deployments, the number of Wi-Fi hot spots is expected to grow sevenfold from 2014 levels by 2018, surpassing 340 million access points. While there is obviously plenty of end-user demand out there, organizations are looking to meet it not only by rolling out so much new infrastructure, but also by making the transition to software-driven architectures that can ultimately lower both CAPEX and OPEX. For example, Boingo Wireless, the leading provider of airport Wi-Fi, recently announced it was implementing NFV at five U.S. airports, with work already completed at John Wayne Airport, Austin-Bergstrom International Airport and Dallas/Forth Worth International Airport. These facilities represent just a sliver of the 75 U.S. airports at which Boingo offers service, but they will be proving grounds for Boingo's new S.M.A.R.T. networking initiative, an acronym for Secure, Multiplatform, Analytics-Driven, Responsive and Tiered. For Boingo, the move is another step in its plans to turn its Wi-Fi networks into important parts of carrier infrastructure. Service providers like T-Mobile have already pushed ahead with Wi-Fi calling on devices such as the iPhone 6 family, and Boingo itself has signed an offload agreement with at least one carrier to handle some traffic from Wi-Fi enabled devices. Airport Wi-Fi is getting a boost from NFV. Standardization on off-the-shelf hardware, with network functions virtualized rather than driven by expensive dedicated appliances. Flexible network and service provisioning, which allows for greater scalability as well as deployment in minutes rather than hours, days or weeks. Openness, through open interfaces and APIs, permits integration of assurance solutions for real-time information on dynamically orchestrated networks, as well as avoidance of vendor lock-in. Essentially, organizations don't have to roll out full-fledged and particular hardware environments for each new service, and they can instead save time and money while also meeting service expectations through the smart application of NFV orchestration. In Boingo's case, the use of NFV may enable it to continue scaling its S.M.A.R.T. initiative without the encumbrances of costly hardware procurement. "In pursuing NFV and SDN innovation, service providers and technology organizations need a bridge from the past to the future." Then there's the added benefit of being able to meet quality of service requirements for roaming agreements. 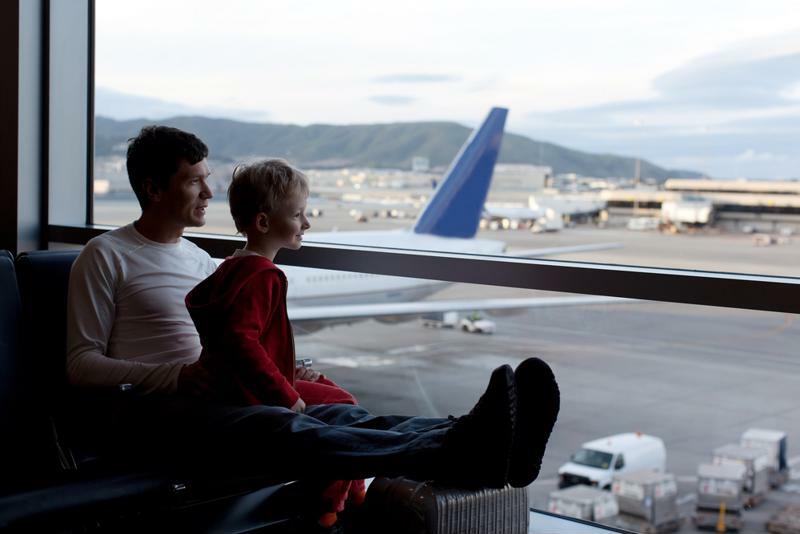 With NFV in place at the test airports, traffic will be managed dynamically and different tiers of service can be offered to users depending on their connection and usage profiles. Overall, this approach to NFV highlights what makes network virtualization a sensible successor to hardware-driven legacy infrastructure. In pursuing NFV and SDN innovation, though, service providers and technology organizations need a bridge from the past to the future. This goes both for the front-end network operations (like in the airport) as well as in the back-end operations where services are developed, tested and readied for production. Orchestration plays a role in both places—and a NFV orchestration platform that can automate physical as well as virtual and cloud assets is an important element for service developers and testers to ensure proper function and performance in a DevOps-oriented, agile development continuum. Cloud management tools like QualiSystems CloudShell use an object-based architecture and graphical orchestration & automation design to help network engineers effectively create, and publish hybrid network topologies with orchestration workflows to address the full range of infrastructure components in the network. A cloud portal allows diverse internal and external vendor teams of to self-serve modeled services and shared libraries of certification tests—so that quality moves to the left and creates faster cycles, more real-world quality upon service deployment. This sort of collaborative DevOps cloud can be a helpful catalyst for culture change. The takeaway: NFV is already making waves in 2015. With the potential to break vendor lock-in and enable easier fulfillment of service requirements, NFV is becoming essential to major carrier infrastructure projects like airport Wi-Fi. These deployments will continue to demonstrate the value that NFV creates in terms of infrastructure utilization, flexibility and scalability. NFV may continue to be overshadowed by SDN, but its role in service provider initiatives, such as Boingo's roaming agreements with carriers, is worth keeping an eye on. DevOps clouds based on orchestration platforms like CloudShell help service providers gain business agility benefits in their back-end processes as well as their network service architectures.